Two waves of poverty reduction in China and India have contributed to the emergence of millions of people from extreme poverty over the last two decades, according to the Bill & Melinda Gates Foundation which said the world should now target Africa for a third wave. The foundation, founded by billionaire philanthropist Bill Gates and his wife Melinda, in its second annual Goalkeepers Data Report released Tuesday argues that gains in lifting millions out of persistent poverty in China and India could be eclipsed by burgeoning birth rates in the poorest countries, particularly in sub-Saharan Africa. "Investing in the health and education of young people in Africa could unlock productivity and innovation, leading to a 'third wave' of poverty reduction, which follows the first wave in China and the second in India,"the foundation said in its second annual Goalkeepers Data Report released Tuesday. The report, running into about 50 pages says that the demographic trends could stall unprecedented progress in reducing global poverty. "While 1 billion people have lifted themselves out of poverty over the past 20 years, rapid population growth in the poorest countries, particularly in Africa, puts future progress at risk. If current trends continue, the number of extremely poor people in the world could stop its two-decade decline-and could even rise," it said. "The conclusion is clear: To continue improving the human condition, our task now is to help create opportunities in Africa's fastest-growing, poorest countries," Bill and Melinda Gates wrote in the introduction of the report. "This means investing in young people. Specifically, it means investing in their health and education," they said. In a conference call with reporters, Bill Gates said the world's done a great job on many issues the foundation was working on. "For example, the extreme poverty number came down by a billion over the last 20 years, and interestingly, if you look at the world as a whole, the actual number of births in the world is quite flat. But underneath that, you see there's a shift of the births from some of the richer countries into a lot of the more developing countries," he said. "If you just take Africa, even though it's only 14 per cent of the population of the world, it's 24 per cent of the births already. And over the century, it lights up and becomes half of the births. So, you actually have a lot of population growth in Africa, even though the globe as a whole, the growth isn't that dramatic," Gates said. 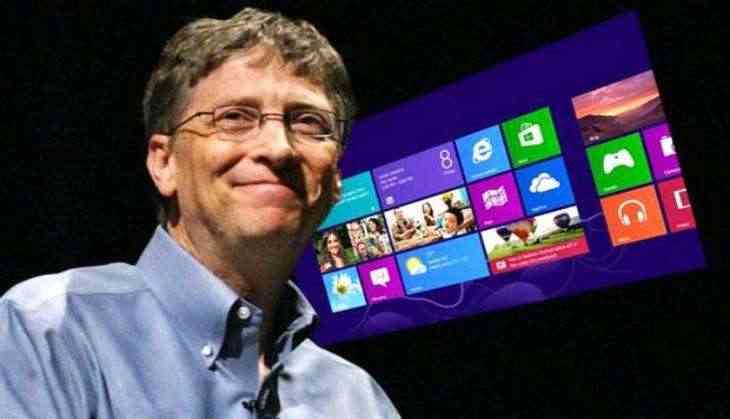 The Microsoft founder then cited Brazil is an example for nutrition, Indonesia for family planning and Vietnam for the quality of the education. "The world in education focused a lot on access, which was super important, and in most countries, made huge progress on gender-equal access and kids overall being in school. But now there needs to be a focus on the quality of what's going on there, and Vietnam is held out as an example where that's being done very, very well," he said. "The particular challenge of the population growth in Africa leads to a simple idea that the world should help Africa invest in its human capital, and that means both the health and the education of this young generation coming up in Africa," Gates said. "From Prime Minister Modi to the Ministry of Human Resource Development to pioneering state governments in Delhi and Rajasthan that are instituting reforms, Indian leaders are putting learning outcomes on the agenda, Ashish Dhawan, chairman Central Square Foundation writes in the report. The World Bank's 2018 World Development Report focused entirely on the issue of educational quality, he said. "Unfortunately, the pathway for improving school outcomes is not as clear-cut as the strategy for improving school access," Dhawan said.